Beautifully maintained 1,957 sqft. two -story 3 BR / 2.5 bath property. East facing views of Calavera Hills, Cozy loft, upstairs laundry room and laminate flooring throughout. 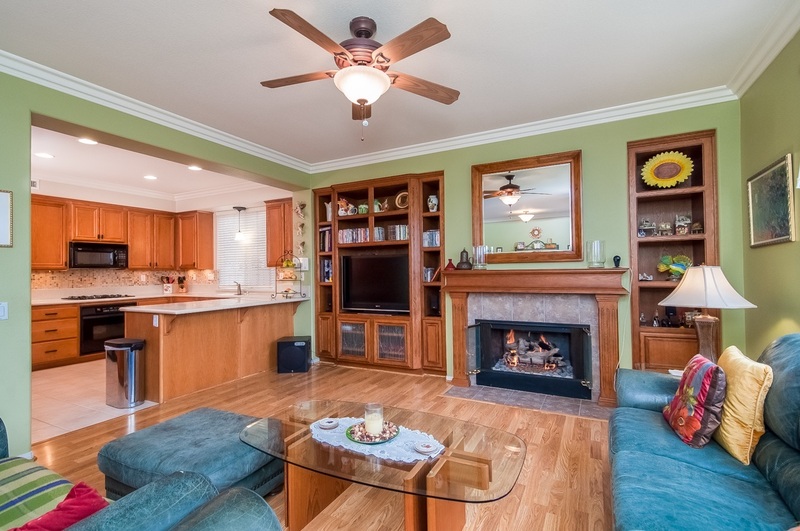 Kitchen opens to family room with fireplace and custom built in entertainment center and bookshelves. AC and owned Solar panels. Great neighborhood and community. Located conveniently to schools, shopping, hiking trails, and freeway access.